Daily exposure to the environment renders your skin dull and lifeless. You scrub your face to get rid of dead cells and restore its shine. But your body does not get that kind of loving care most times when you have a rushed shower and step out of your bath. Just as how you scrub your face, your body also needs to be exfoliated in order to get rid of the dead skin and restore its suppleness. You do not have to resort to going to a spa and getting an expensive body polish session in order to give your body a nice deep cleansing scrub. Or even buy those pricey bottled body polishes. You can make your own body polish at home, spend a little more time in your bath and do it yourself. A body polish is a combination of an abrasive material like walnuts or coffee grounds that will slough off dead skin and a hydrating material like olive oil or coconut oil that will moisturize the skin. 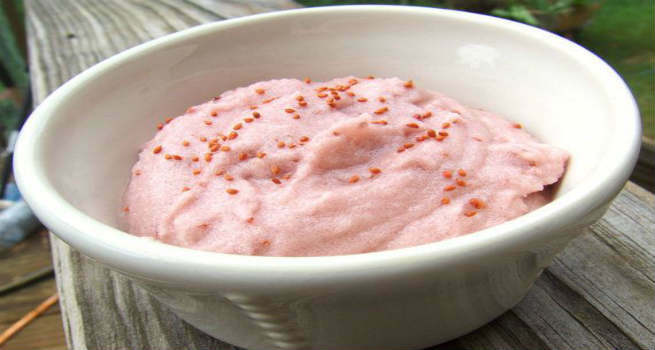 We give you some ideas for homemade body polish for smooth skin that you can get in the comfort of your home. Mash 4-5 strawberries and add to it 2 tbsp of milk cream. Make a smooth paste out of this. 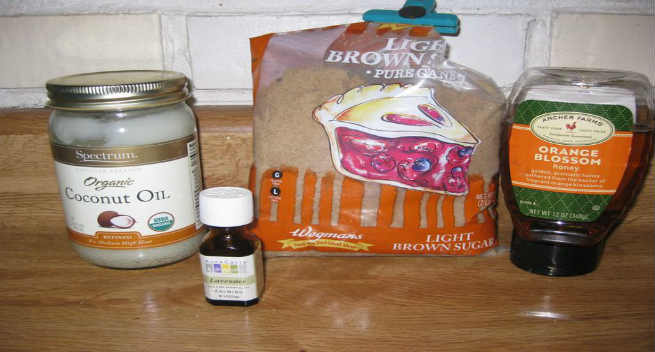 Add two tsp of sugar granules to this mixture and scrub your body all over with this body polish. It will gently exfoliate all the dead skin from the body. Strawberry will lighten your skin tone and the milk cream will moisturize your skin, leaving it smooth and soft. Coffee Grounds are not just a great way to scrub the skin, but they also help fight cellulite and tone the body. In a cup, mix 2 tsp of coffee grounds and 2 tsp of brown sugar. Add to this two tsp of coconut oil and a few drops of your favorite essential oil. Mix this well and smooth it all over your body in circular motions, focusing on the areas with cellulite. Leave it on for about ten minutes and wash off with hot water and follow it up with your bath. Doing this weekly will help you get soft skin and also get rid of cellulite. Honey helps in attracting the environmental moisture to the body and keeping it soft. 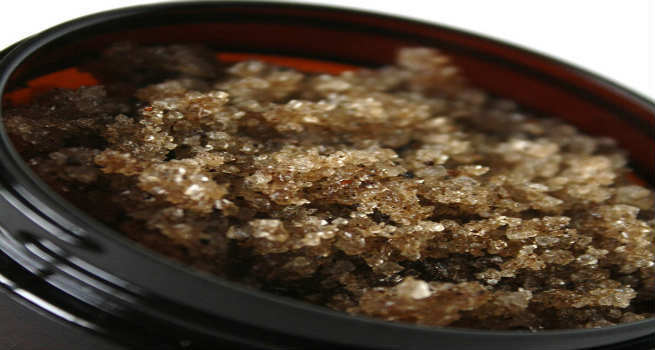 Sugar granules will help exfoliate the skin and making it soft. In a bowl, add 4 tsp of sugar and two tsp of honey. To this add a tsp of virgin coconut oil and a drop of your favorite essential oil. Gently exfoliate your skin with this concoction and follow it up with a hot bath. 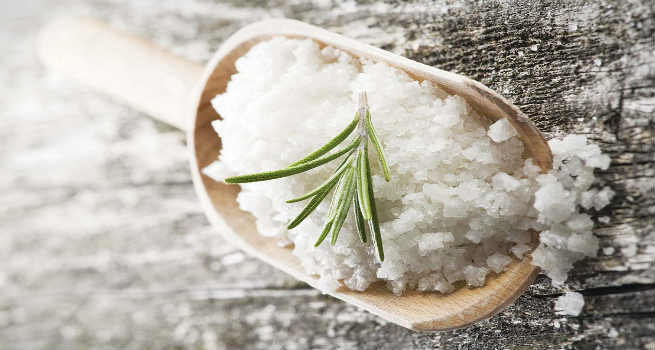 Sea salt is loaded with minerals which can help relieve you of clogged pores. Its granular nature also helps remove the dead skin cells and reveal soft and supple skin underneath. In order to make a sea salt body scrub, mix a handful of sea salt with coconut oil or almond oil and a drop of your favorite essential oil. Smooth this all over your body before the bath to exfoliate the skin gently. Repeat weekly for baby soft skin.